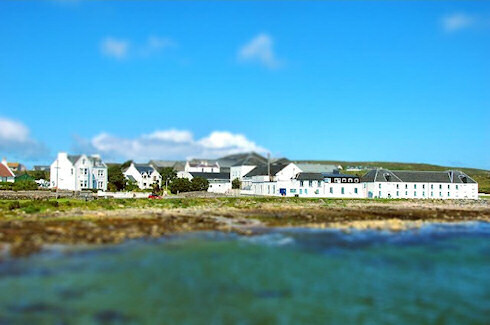 Now what might look like a model of Bruichladdich distillery and An Taigh Osda in reality isn't one. Earlier this evening I discovered TiltShiftMaker, a website where you can create your own ‘tilt-shift style photos’. Naturally I played around with it for a while, trying a few of my Islay pictures. The one of Bruichladdich above is one of the results. What do you think, does it look convincing? 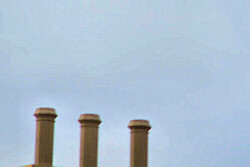 The second picture is a ‘Guess where/what this is?’ challenge. I was sent the picture yesterday with that question. I managed to guess it, although I had a slight advantage, because I remembered something we had discussed many month ago. I'll give you a hint though, something linked to this picture I blogged about last year. If you can't guess it you just have to wait until tomorrow evening, when I plan to post the solution.